For many of us, reading is as automatic as breathing. But for the millions of students with dyslexia, reading is a difficult task that poses constant academic and emotional challenges. To simulate the experience of reading with dyslexia, try using this key to decipher the coded statement below. What you have just done is relearn to read. You’ve taken symbols and connected them with new speech sounds. Until those connections are automatic, the reading process will be laborious and draining. Now imagine reading like this—every word you encounter all day long. This is how it can feel for students with dyslexia. Although awareness of dyslexia is steadily growing due to campaigns by grassroots movements like Decoding Dyslexia and national organizations like the International Dyslexia Association (IDA) and the National Center on Learning Disabilities (NCLD), many educators are still unfamiliar with what dyslexia is and how to accommodate it in the classroom. Here’s what we know: Dyslexia is common, affecting 5 to 17 percent of students. It is the result of one or more brain-based language processing challenges in the area of rapid automatized naming (RAN), working memory, and phonological and/or auditory processing. Dyslexia is hereditary, often passed down from a parent or grandparent who has struggled with it. Dyslexia occurs on a spectrum, so some students may fly under the radar with a mild case while others are profoundly impacted. 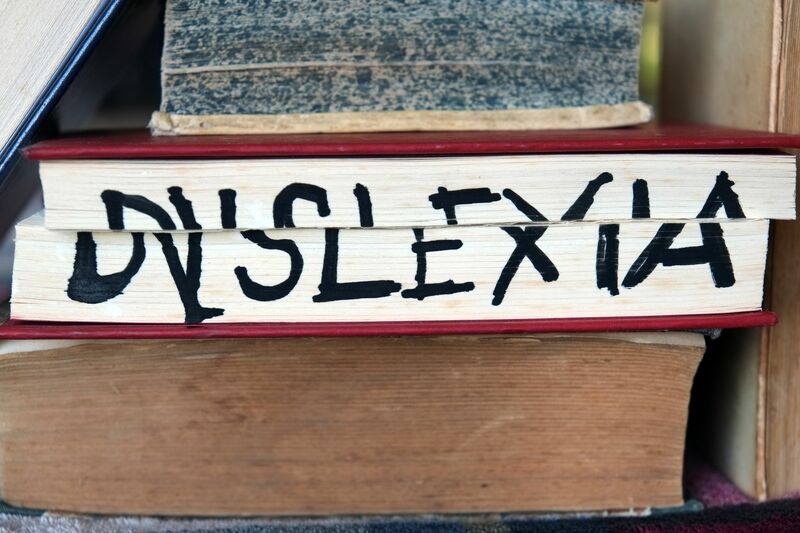 Dyslexia can occur comorbidly with other learning difficulties like dysgraphia, attention-deficit/hyperactivity disorder, dyspraxia, and/or dyscalculia. Dyslexia is not linked to intelligence, a finding supported by research from Yale University and demonstrated by the long list of successful innovators with dyslexia—including Richard Branson, Steven Spielberg, Steve Jobs, and Albert Einstein—proving that the dyslexic mind can indeed be highly intelligent. Students with dyslexia can be remediated with evidence-based, Structured Literacy programs delivered by teachers trained in reading instruction to increase accuracy, reading fluency, and text comprehension. In addition to quality intervention, students with dyslexia benefit from classroom accommodations that take into account their unique processing challenges and allow them to demonstrate their content understanding and access the curriculum with more ease. 1. Provide access to audiobooks: Students with dyslexia often have an intellectual ability that is well above their academic reading level. Strengthen critical thinking, vocabulary skills, and background knowledge by allowing students to listen to audiobooks during classroom reading time. You can take away the stigma of “ear reading” by offering audiobooks as a reading option for the whole class. 2. Allow students to use note-taking apps: Students with dyslexia can struggle with everyday tasks like note taking, transcribing from lectures, and writing down spoken directions. Allow students to skip the arduous task of transcribing notes from the board by using assistive-technology apps like Notability or Evernote to take pictures of lecture notes to review and study later. 3. Permit students to record assignment instructions and lectures for playback: At the root of dyslexia is a language processing issue, so students with dyslexia sometimes struggle with multistep verbal instructions and paying attention through long lectures. Allow students to record important assignment instructions and lectures for playback with voice notes using Siri from Apple or Read&Write, a free Google Chrome extension from TextHelp. 4. Offer reduced homework problems: Students with dyslexia need the practice that comes with homework, but because of their processing difficulties, homework can take three to five times longer for these students than it does for their peers. Allow students with dyslexia to do every other problem or only half the problems to keep the focus of homework on demonstrating and practicing content knowledge as opposed to making it an exercise in endurance. 5. Encourage use of text-to-speech: In later grades, students with dyslexia will need to access text that is above their academic ability in order to complete class assignments, and text-to-speech can be a real game changer. Students can look for the BrowseAloud logo to find websites that are speech-to-text enabled or download the Read&Write Google Chrome extension to translate all web text into spoken words. Dealing with dyslexia is difficult in today’s text-heavy education system. These accommodations are just the tip of the iceberg for making students feel supported and accepted in the classroom.